“We have gathered here today to pay homage to a great son of India and of Punjab, Sardar Beant Singh ji. Sardar Beant Singhji is best remembered for providing strong and determined leadership to the State of Punjab in very troubled times. As Chief Minister of Punjab, he brought the State to normalcy after years of terrorist violence. Restoring peace in Punjab during those difficult days was no easy task and it is a tribute to the extraordinary leadership qualities of Sardar Beant Singh ji that he succeeded in doing so. If our society is largely peaceful and secular today, it is only because of the courage and patriotism of people like Sardar Beant Singh ji. Our freedoms are built on the foundation of their hard work and sacrifices. It is therefore our duty as citizens to contribute our bit in the fight against the divisive forces that still pose a threat to our country. Sardar Beant Singh ji had a very long innings in public life, spanning over four decades. He left a job in the army at the age of 23 to serve the people and went on to hold several important positions. A public career which started with helping those whose life had been disrupted because of partition in 1947 culminated in the Chief Ministership of Punjab in 1992. In the intervening years came a range of public positions – Chairman Block Samiti, 5 times Member of the Punjab Vidhan Sabha and Minister in the Punjab Government. 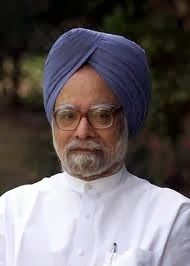 He was also the President of the Punjab Pradesh Congress Committee during the very difficult years from 1986 to 1995. From 1992 to 1995, as Chief Minister of Punjab Sardar Beant Singh ji showed an understanding and vision so rarely seen in public life. He worked tirelessly for reconstruction and reconciliation, and for restoration of peace and harmony. He brought new hope to Punjab and laid the foundation for the State`s future progress. In this quest he laid down his own life.